No fight over what gets taught in American classrooms is more heated than the battle over humanity’s origins. For more than a century we have argued about evolutionary theory and creationism (and its successor theory, intelligent design), yet we seem no closer to a resolution than we were in Darwin’s day. In this thoughtful examination of how we teach origins, historian Adam Laats and philosopher Harvey Siegel offer crucial new ways to think not just about the evolution debate but how science and religion can make peace in the classroom. Laats and Siegel agree with most scientists: creationism is flawed, as science. But, they argue, students who believe it nevertheless need to be accommodated in public school science classes. Scientific or not, creationism maintains an important role in American history and culture as a point of religious dissent, a sustained form of protest that has weathered a century of broad—and often dramatic—social changes. At the same time, evolutionary theory has become a critical building block of modern knowledge. The key to accommodating both viewpoints, they show, is to disentangle belief from knowledge. A student does not need to believe in evolution in order to understand its tenets and evidence, and in this way can be fully literate in modern scientific thought and still maintain contrary religious or cultural views. Altogether, Laats and Siegel offer the kind of level-headed analysis that is crucial to finding a way out of our culture-war deadlock. 8 A Question of Culture? 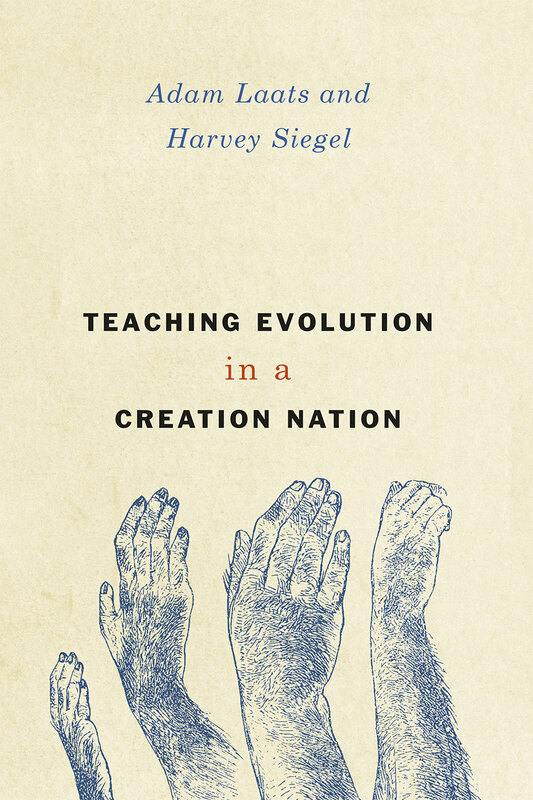 "Adam Laats and Harvey Siegel provide a highly readable historical overview of the evolution-creationism controversy in their new book Teaching Evolution in a Creation Nation. Evolution is not just another scientific topic for many students. The fact that learning about evolutionary theory has cultural and religious implications for defining one’s identity makes the publication of this book important for secular and non-secular people alike. The authors make a strong contribution to public understanding of this controversy by approaching the issue from both historical and epistemological perspectives." "The book is a case study in how to write smart and short. It also offers some excellent examples of basic historical and philosophical procedure—chapter three is a model of how to approach seeming silence in the historical record. It is the perfect length for an introduction to the topic, and a welcome addition to the field’s literature."